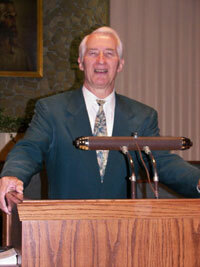 Pastor Bob started preaching as young man, shortly after being called by God to preach the gospel. When God called him he said, "Remember, always lift up My Son." Since then it has been his mission and the passion of his preaching to point people to Jesus Christ, the Son of God. He has gone as far as Kenya, East Africa, to fulfill his calling. Pastor Bob took over the role as Pastor in 2001 at the death of his late wife, and founder of Prayer Time Cathedral, the Rev. Ruth Walney. 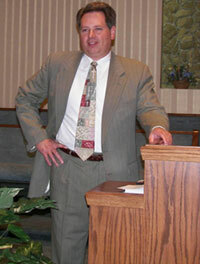 His role before being Senior Pastor was of Associate Pastor. Both he and his wife shared the leadership of Prayer Time Cathedral for many years. It truly was a ministry of shared beliefs and convictions. Another gift he shares with the congregation is his ability to expound the Word of God. It's an in-depth method of bringing out the meaning of a particular Bible passage. 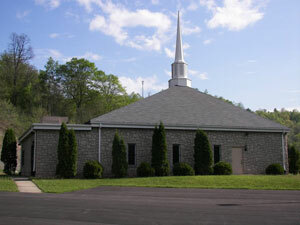 Pastor Bob's teaching is heard each Sunday at the 11:00am worship service and the 7:00pm evening service. Another significant part of his ministry is healing. God has performed incredible miracles. You can also hear Pastor Bob on radio WKHB 620AM every weekday at 7:15am. Prayer Time Cathedral has a practice of choosing leaders from within. This keeps the teaching consistent with the "foundational" truths of the church. In keeping with this tradition Emerson was chosen as the youth leader in 2001 to fill the position previously held by Pastor Robert Michael Walney, who assumed the role of Senior Pastor at the same time. In 2001 Emerson received his "Biblical Studies" certification, and on January 1, 2017 was Ordained into the Gospel Ministry by the Rev. Robert Michael Walney, of Prayer Time Cathedral, and Bishop George Muroki of Hope Ministries International. Emerson is passionate about teaching the truth of God's Word. He also teaches the adult Sunday School class. Besides teaching the Word of God Emerson's passions are traveling, boating and motorcycling. © 2007 - 2019 Prayer Time Cathedral - All Rights Reserved.